A New York City Bus Tour is a great sightseeing option and very popular among NYC visitors. Even locals love to take a bus tour when they have guests in town! 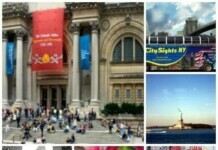 Read more about New York Bus Tours, customer reviews, photos and SAVE $$! 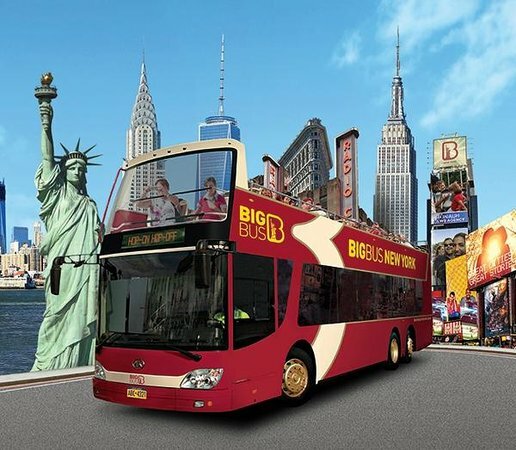 Big Bus Tours, rated the #1 Bus Tour in NYC on Trip Advisor, offers open-top guided tours of the city (English only), along with your choice of 10 recorded languages. One of their great perks is the free Hornblower Cruise, included with the 2 Day All Loops & Big Bang Package Tickets. A family-friendly evening bus tour is a great choice allowing you to easily see our twinkling lights, especially after a long day of sightseeing. Since I see and hear these guys outside my window EVERY night, I can say for sure, everyone loves to sit on the top of the double-decker bus! The Ride NYC Bus Tour - NYC's favorite bus tour! The Ride combines entertainment, hilarious improvisation and wild people-watching amusement on its one-of-a-kind New York City tour bus outfitted with stadium seating. Instead of facing forward, passengers sit facing the long side of the bus, so you can see tons more of NYC. 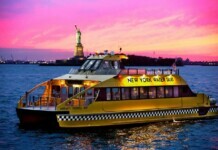 NY Big Bus Night Tour - nightly tours depart every 30 minutes from 7:00pm - 9:00pm. During the winter holidays, the Big Bus Night Tour becomes the Holiday Lights and Bridges Tour. 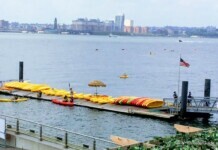 You’ll see the Empire State Building, Greenwich Village, SoHo, Chinatown, the Lower East Side, Rockefeller Center, Brooklyn Bridge, Manhattan Bridge, Times Square and more while a guide narrates your tour. The Night Tour then crosses the East River into Brooklyn so you can see one of the BEST views of the NYC Skyline…from Brooklyn. 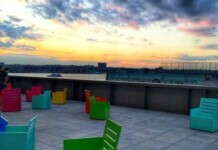 NYC Bus Tours offers the best selection and excellent pricing on most of the bus tour choices in NYC. Big Bus, Open Loop and On Location are some of the most popular and well-reviewed brands. 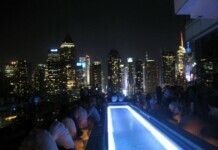 Choose from Uptown, Dowtown, Day or Night Time, Brooklyn, Movie Sites, Celebrity TMZ, Food Tours, shopping tours and many more. Looking for a bus in the Big Apple? New York Charter Bus Company provides personalized, private shuttles for any kind of trip in and around the city. We offer a variety of bus rentals, ranging from 18-, 20-, 25- and 56-passenger models that are affordable and customized with add-on amenities. From free WiFi to on-board restrooms, you will enjoy the benefits of a climate-controlled, modern coach on any long or short journey. Whether you need transportation for a wedding, corporate event or a sports tailgate, New York Charter Bus Company can pair you with the ride you need. Contact us at 917-388-9602 for a free, no-obligation quote! Now you have booked Cheap Flights to New York, gotten a New York City Hotel Deal, reserved Statue of Liberty Tickets and New York City Broadway Tickets and decided on a New York City Bus Tour. 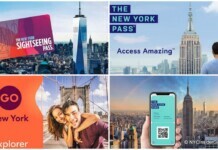 You can stop now and just jump on the plane or look at the three main discount Attractions Passes. 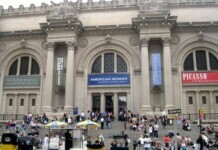 The NYC Insider Guide does make a small commission if you purchase a Bus Tour through our links. After all, this is one of the ways I am able to provide you all the free content on this website. However, the information provided on this page is unbiased and accurate to the best of my ability. Read more on Advertising Policies.